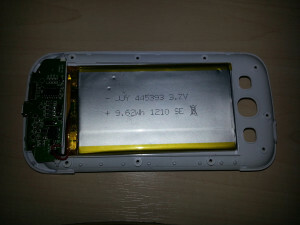 SaNmsung Galaxy S3 Power Case - Don't waste your money. I've recently upgraded from my old, trusty Nexus One (thanks Google) to a Samsung Galaxy S3. Within a few hours after it's first full charge, it was obvious the standard 2100mAh battery (although very good), just couldn't cope with my demanding usage and a bigger battery was needed. The fact you're reading this means you're probably in the same boat. So, on Sunday the 18th and after 10/15 minutes searching the web... I found this. Not bad for £13.90 with shipping... so I bought it. A few minutes later, I found this review on YouTube. I sent the seller an eBay message on Sunday night to ask them to cancel the order, citing the video and concerns about overheating. No response. Yesterday, I have an email telling me it's been shipped! Then, another telling me I can't cancel as it's been shipped, but if I post it back, they'll refund it. Well, it arrived this morning... and yes, it's junk. Complete rubbish and I wouldn't want it near the S3... not least because the label says SaNmsung Galaxy III (I spotted it in the picture after I bought it!). 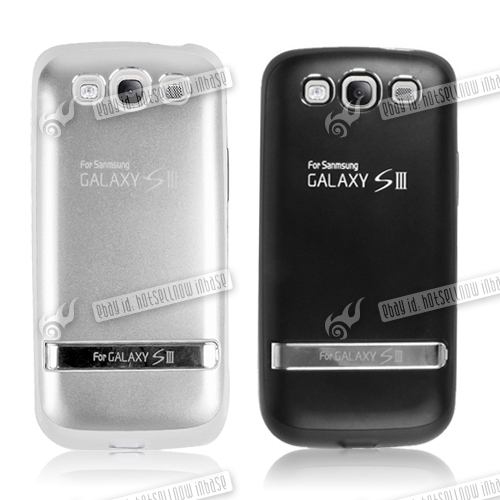 But hey, it's cheap... and for 3200mAh, it should add a decent amount of life to the S3. I can't be bothered to send it back, it's not worth the hassle... so let's tear it apart and see what's inside. It doesn't tell us the mAh value - but it does give us the watt hour capacity. Let's convert 9.62Wh to milliamps. mAh = Wh x 1000 / voltage. So 9.62 x 1000 (9,620 milliamps) / 3.7 (volts) = 2600mAh. 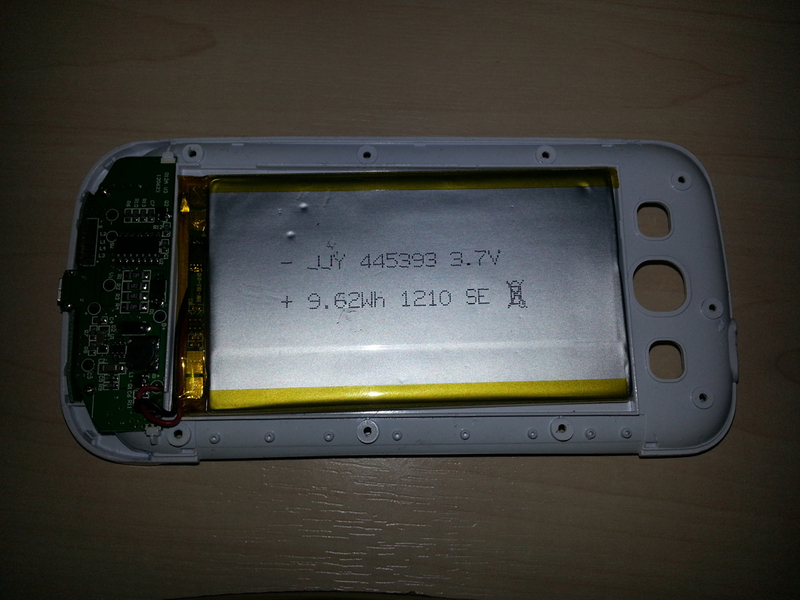 The Galaxy S3 uses a 3.8v 2100mAh battery, so this is a touch shy on voltage even when full - and a fairly massive 600mAh smaller than advertised. A quick search of Alibaba reveals this is (surprise surprise) a cheap Chinese battery from a company with a reputation of selling inferior quality goods. mAh is only a measure of their full charge capacity however, not how often it can be charged and hold that capacity. A cheap 4600mAh isn't likely to last anywhere near in the long term as long as a good brand like Mugen, for example. As an average, a good battery should last a good 300 charge cycles before it's time to consider swapping it. If the "cheap" battery only has 50 cycles (often it's MUCH less), you're actually spending more in the long term. The case on the other hand is really quite goo... nah, it's awful too. The plastic clips which are supposed to hold the phone in don't actually connect with the phone at all; so the phone shifts left/right and leans forward! Bear in mind there's nothing else holding the phone in... just the USB. If you're thinking "That looks like a Power Bank", you'd be right. The power button is on the right though, Power Bank have theirs on the left... and the case doesn't extend to allow you to slip the S3 in safely. Instead, you have to bend the case slightly to get the USB to fit properly. This gets hot... really, really hot. There's another video on YouTube where the author comments on this, only now I understand exactly what he meant. You couldn't possibly hold it, and you'd almost certainly burn yourself even through a shirt/trouser pocket. Lithium ion batteries get warm during charging, but they should never reach a temperature where you consider leaving the room in case it goes up in smoke. For this reason alone, this is going in the bin. Seriously, don't waste your money. If you need a bigger battery, get a respectable brand (Mugan) and accept the extra cost is money well spent. £58 for a Mugen 4600mAh & cover is damn good when you consider they have a reputation for solid, well-engineered batteries.